Ron and Maggie Tear Photography: Pingviller, Early Parliment. This location was Icelands cradle of the nations history and independance of it's people. A national park and area of geothermal activity. 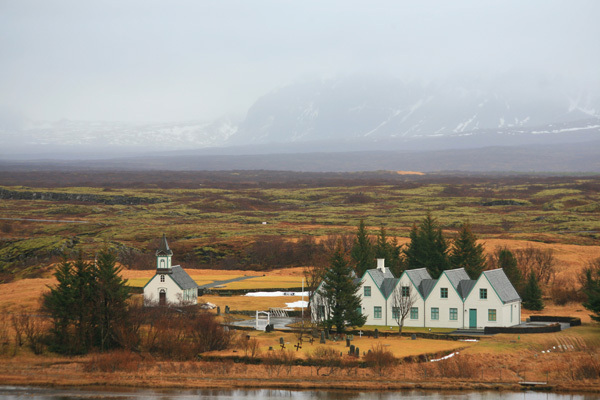 These buildings are of early settlement, the goverment moved to Reykjavik in 1944 after independence. Pingviller, East of Reykjavik, Iceland, Arctic, Atlantic Ocean.